National University | Sylvia Spotlights: Writing, Women, and the Big "What-ifs"
Networking. Social Media. Multi-media. SEO. Billboard approaches. Links, hubs, nodes. Websites. Internet. The World Wide Web. Anchor text. Interactive. Audience-driven. The jargon itself seems technical and fast-paced. But what pulls these elements together is interconnectivity. Beyond our personal lives, this networking world has also transformed traditional news gathering and dissemination in print, broadcast and radio mediums. The way news—and online publishing—is covered today, is also fast paced, far-reaching, interactive and instantaneous. Successful news coverage offers an audience options in how to read, listen to, or view a story. Producing news for online journalism and publishing is about networking and linking to promising audiences—but it goes beyond being efficient in Facebook, Twitter, LinkedIn, YouTube, Google+, and a myriad of other online networking sources. When we set up websites, we must be conscious of the words we choose, placement of those words and graphics and possibility for links. In the textbook, Don’t Make Me Think, Steve Krug shows how important it is to be aware of and practice more of a “billboard” approach. 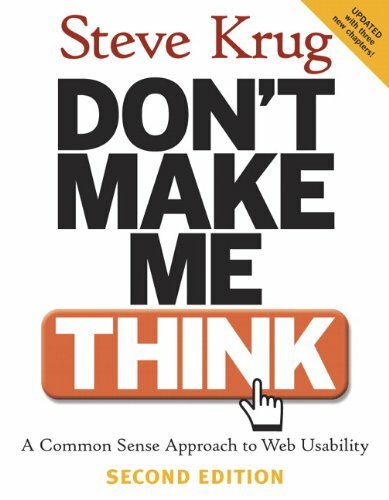 Author Steve Krug uses common sense tactics to make web site development user-friendly and efficient–which can result in more traffic to a site. Like Harrison, journalists must be aware of how their work can be most effective. They must communicate and produce stories they are assigned or are compelled to tell—in one medium or another—but also in a multi-media focus to keep audiences engaged and keep the news interactive. So what makes one news agency or journalist stand out from another? What is the secret to successful online publishing? What is the secret to successful networking? successful promotion of a news article or news agency depends on how effectively key words and phrases are used that can optimize an online search on a given topic. A journalist can adapt to a digital journalism world by remembering two valuable practices. 1. She must remain true to ethical journalism standards as she researches and reports her story. 2. 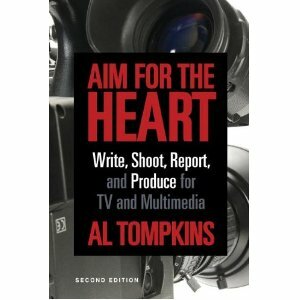 She must strive to tell a story with heart, which was the crux of Tompkins’ viewpoint. If one can get to the emotional core of a story—the heart of a story—the more likely audiences can relate—and will return to a site to learn more. The beauty of networking is that one story can link to other sources, one person can tell their friends and families to link, and then the network for a story grows. Journalism student, Nebo Uyanwah, seemed to enjoy how Linked resonated and gave a new perspective of the magnitude of the Internet. “I love the analogy of the web being different continents or very large communities,” Uyanwah says. This is how we network and grow as journalism students in the program. We read texts from experts in the field of impactful journalism so that we all start on the same footing. During weekly Live Chat sessions we listen to each other’s comments and discuss certain materials; we link to each other’s blogs and learn about personal style while seeing the strengths and diversity of perspectives. Our professors invite us to stay linked and suddenly, our networking circle has grown. We are enlightened by each other in these journalism classes, too. Insight by Mark Taylor enlightened me as to why Barabasi used the example of Gaetan Dugas, known as “Patient Zero” in the AIDS epidemic, in the Viruses and Fads Chapter. I initially had trouble equating it with the concept of being linked. When each of us in these classes shares insights, perspectives and news coverage practices, they link us to other points of view. Isn’t it part of a journalist’s job to see as many sides of a story as possible? 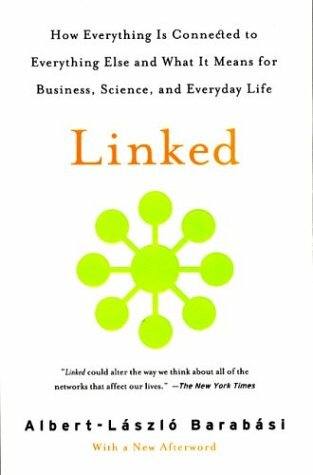 What I have loved most through all the readings is the concept of interconnectivity that Barabasi brought to life through discussion of the Pareto Principle—or Six Degrees of Separation. 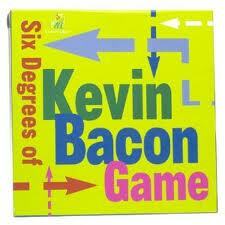 He made it fun and relatable by describing the Six Degrees of Kevin Bacon game. We are in a connected world but we have to go beyond that basic concept to produce news that matters to more people. Even with seven billion people in the world, we are linked. As journalists, we can be the connectors. When we keep the power of the written word and multi-media coverage professional, yet authentic, interconnectivity can also be more powerful than we ever imagined.